Celebrate the Festival of Freedom like never before at The Pesach Retreat - South Africa! 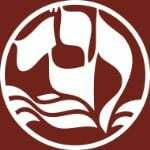 Please click the links to the left for all the information you'll need on Chabad's Pesach Seder, Service Schedule and more! We look forward to personally greeting you!